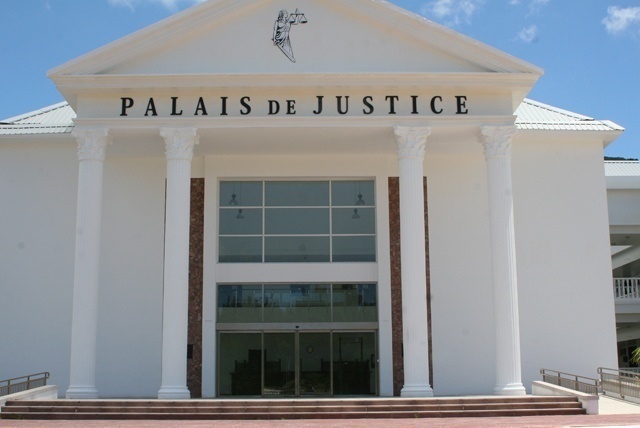 (Seychelles News Agency) - The Seychelles’ Supreme Court on Tuesday convened for the first time in a case brought by President Danny Faure against the Speaker of the National Assembly in relation to a disagreement concerning a salary increase for government employees. Presided over by Justice Melchior Vidot, the Court heard two applications made by Faure’s legal team in the case filed on Friday, April 12. It is the first time in the history of the third republic of Seychelles, an archipelago in the western Indian Ocean, that a Speaker is being held accountable for the decision taken by the National Assembly. On March 19, the government presented the Public Service Salary Amendment Bill 2019 to the National Assembly for approval. The bill included a five percent increase across the board for government workers. The opposition members in the National Assembly objected and said the budgeted amount should be shared equally with employees who qualify to get the same amount of increase. As no consensus was reached by April 1st, the due date for implementation, the government said it will implement the increase through regulation under the old public service salary act of 2013. In a special sitting, the opposition members in the National Assembly voted to quash the regulation brought as a Statutory Instrument (S.I), a form of delegated legislation which may allow the government to bypass the parliament. President Faure, in his capacity as Minister responsible for Public Administration, filed a case requesting that the Court exercise supervisory jurisdiction in relation to the quashing by the National Assembly of S.I. 18 of 2019. The two applications made on Tuesday by Faure’s legal team were that the case be heard as a matter of urgency and an application for leave. The legal team of Nicholas Prea, the Speaker of the National Assembly, did not object to the first application that the case be heard as a matter of urgency. However, lawyers Joel Camille, Clifford Andre and Bernard Georges objected to the Application for Leave, which would allow the case to proceed without any objection. On May 2nd, the Supreme Court will hear the objections from the Speaker and from there decide whether to proceed with the case, based on its merits. President Faure, who in a statement published soon after the annulment, said he had acted within the ambit of the law, took the matter to court, to ask the court to rule on its legality. It the event that Supreme Court rules in favour of the petitioner, the five percent salary increase as stated in the Regulations, will be applied effective April 1st 2019.